German police are hunting for a new suspect they believe may have been the man who drove a truck into a crowded Berlin Christmas market this week, killing a dozen people and leaving more than 50 wounded. Law enforcement sources tell CBS News police are searching for Anis Amri, a young Tunisian man who left an ID in the truck that rammed into the market. 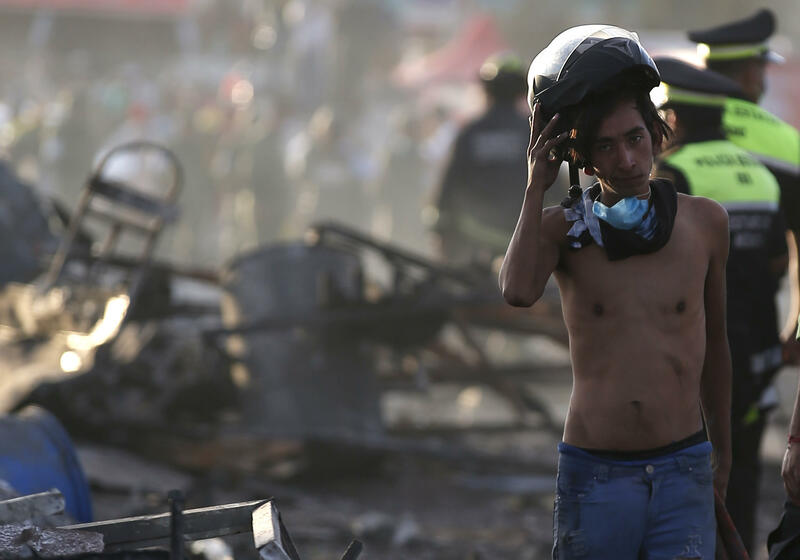 Mexican leaders are vowing to find who is responsible for the deadly explosion at a crowded fireworks market in Tultepec, 20 miles north of Mexico City. Tuesday’s massive chain-reaction blast killed at least 31 people and injured 72 others. Tultepec is at the center of Mexico’s pyrotechnics industry, and as we’ve discovered, the market has a history of trouble. Russia will hold a funeral today for Andrey Karlov, the country’s murdered ambassador to Turkey. Reports say the Turkish police officer who shot the ambassador provided security for Turkey’s president eight times in recent months. Several people have been detained as part of the investigation into this murder, including the killer’s parents and other family members. Will Rahn says while there’s reason to think Moscow wanted Donald Trump to win, nearly two weeks after a bombshell report saying the CIA believes the DNC hack was not only ordered by the Kremlin but done with the intent of helping Trump, we’ve seen very little evidence to back up the conclusion. Rahn argues the CIA has an imperfect track record when it comes to things like this. The fastest-growing group in the U.S. holding student debt is people over age 50, with default rates exceeding those for millennials. As a result, many older Americans are seeing their Social Security benefits garnished by the U.S. government, forcing some into poverty. Overdrafts, once used as a short-term accommodation to bank customers, have turned into a fee-for-all. Most large lenders in the U.S. engage in practices likely to stick customers with unnecessary fees, according to an analysis by The Pew Charitable Trusts. Are tiny Smart cars prone to catching fire?